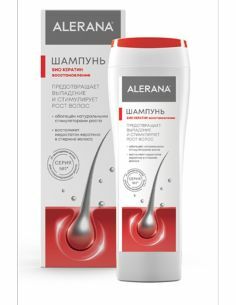 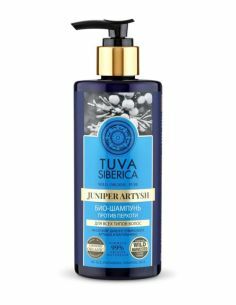 Berries of taiga cowberry and fruits of red Kalina, contain vitamins C and E, intensively moisturize the hair. 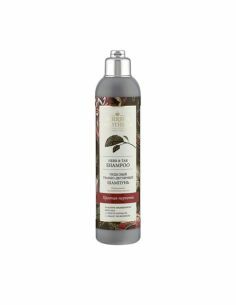 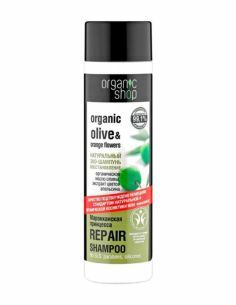 Grapes of spray contain vitamin C, provitamin A, proteins, organic acids and microelements, deeply nourishing and strengthening hair. 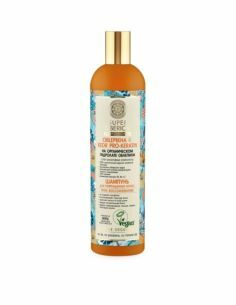 Calendula flowers normalize the work of the sebaceous glands of the scalp. 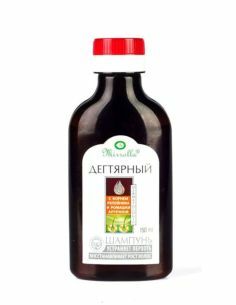 Leaves of Kuril tea contain flavonoids, saponins and tannins, increase the elasticity of hair, and Siberian tansy keeps them clean. 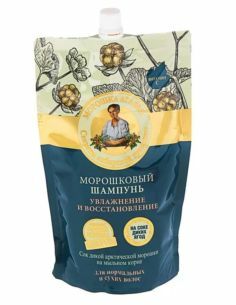 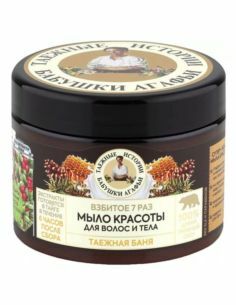 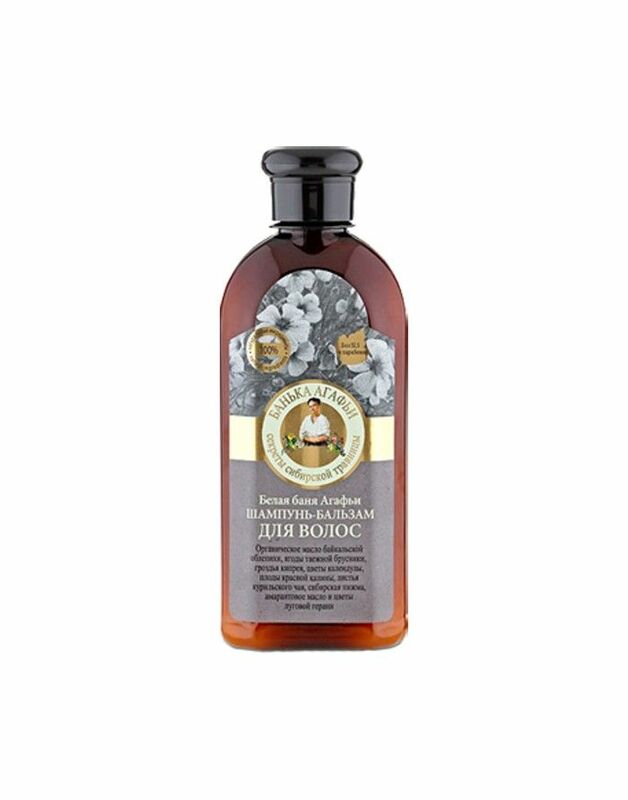 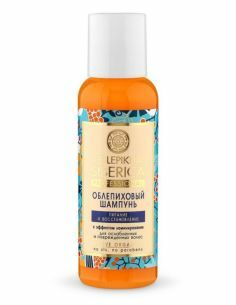 Organic Oil of Baikal sea-buckthorn is a rich source of vitamins for hair, which stimulates their growth. 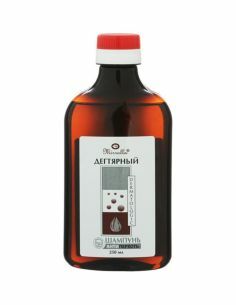 Amaranth Oil contains squalene, vitamin E and B vitamins, nourishes and promotes the saturation of cells with oxygen. 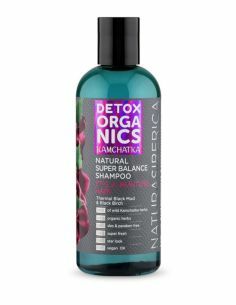 Flowers of meadow geranium strengthen the roots of hair. 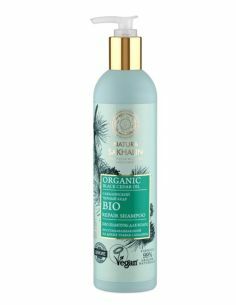 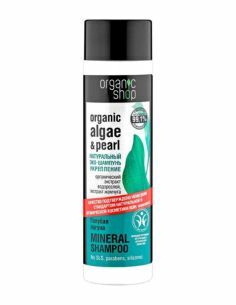 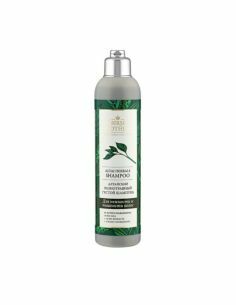 Ingredients: Aqua, Sodium Coco-Sulfate, Lauryl Glucoside, Glycerin, Coco-Glucoside (and) Glyceryl Oleate, Cetearyl Alcohol, Caprylic/ Capric Triglyceride, Vaccinium Vitis-Idaea Fruit Extract, Chamaenerion Angustifolium Extract , Calendula Officinalis Extract, Viburnum Opulus Fruit Extract , Dasifora Fruticosa Leaf Extract, Tanacetum Vulgare Extract, Organic Hippophae Rhamnoides Fruit Oil , Amaranthus Caudatus Seed Oil , Geranium ratnse Flower Extract , Sorbitane Stearate, Parfum, Benzoic Acid, Sorbic Acid, Benzyl Alcohol, Citric Acid.